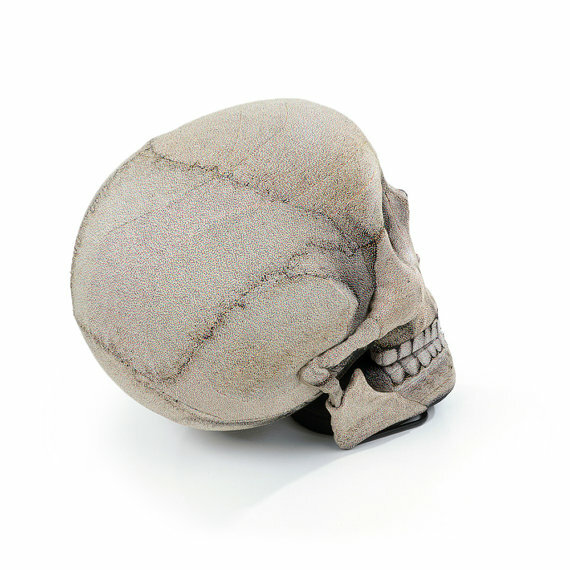 Possessions For The Possessed: The Perfect Skull Chair! Chairs for the most part are pretty boring, but now you don’t have to live under the iron rule of office chairs, bean bags, pleather sofas, and mass marketed Ikeaness. 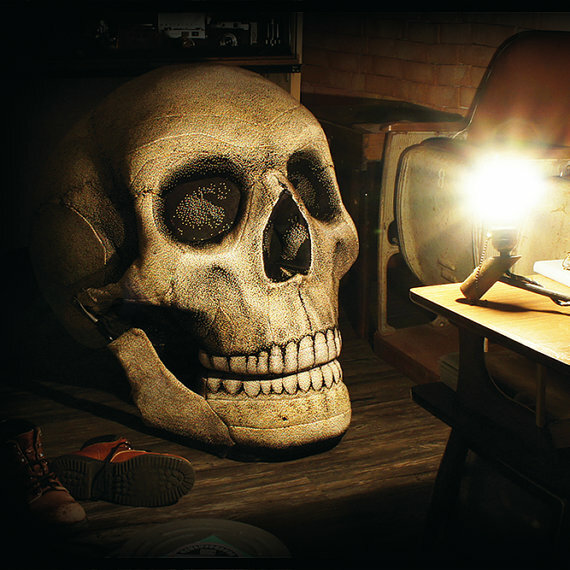 Behold the perfect skull chair to really bring your room together, whether it’s a cellar laboratory, a villain’s hidden lair, or a home sneakily built over a unmoved graveyard. 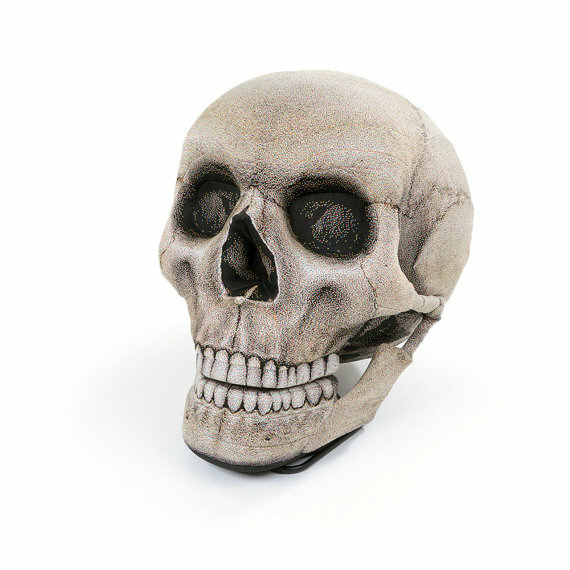 Who wouldn’t kill for one of these? 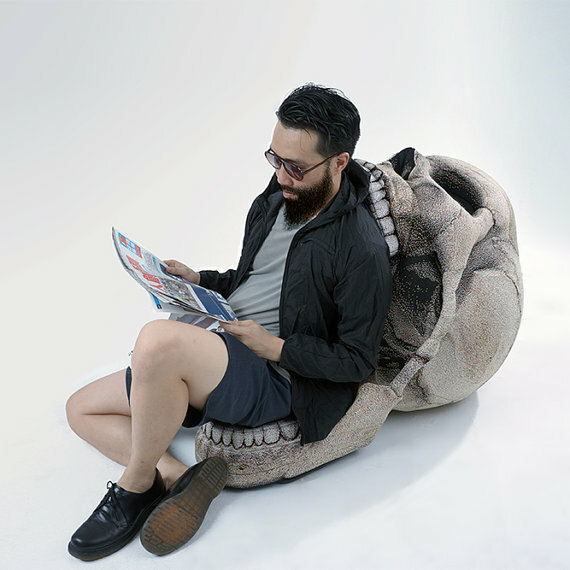 The SKULL Chair has a movable jaw which can be opened and closed, it can be functioned as a comfy low chair or an awesome decoration for your home. The graphics on the beanbag is knitted with coloured yarns, instead of printed. Please take a closer look at the close-up picture to view how the graphic is formed, this pixeled effect is a carefully designed feature of our signature technique. For more info, or to order yours, or to order one for me and send it as a always appreciated bribe, just visit chicsindesigndotcom’s Etsy page by clicking the photos below. Since there’s no mail on Sundays, I participate in blackmail instead.